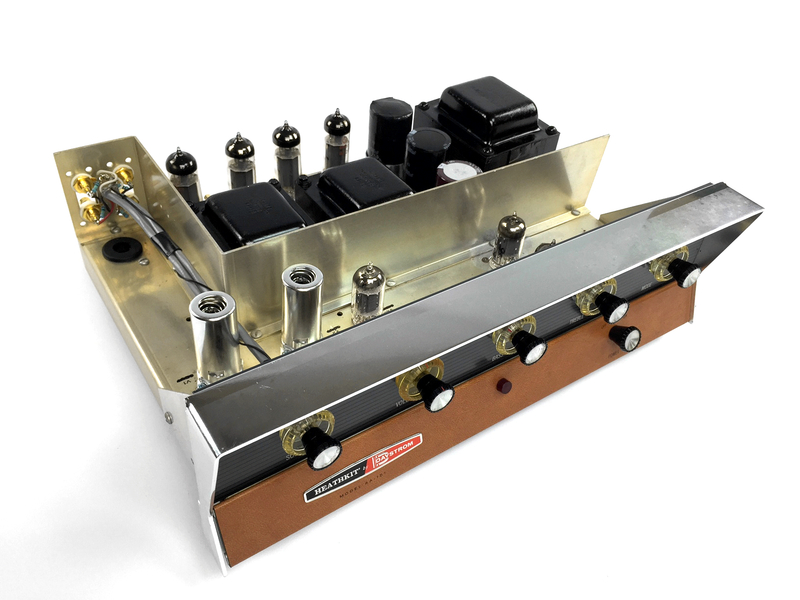 Complete custom full-triode circuitry AA-151. 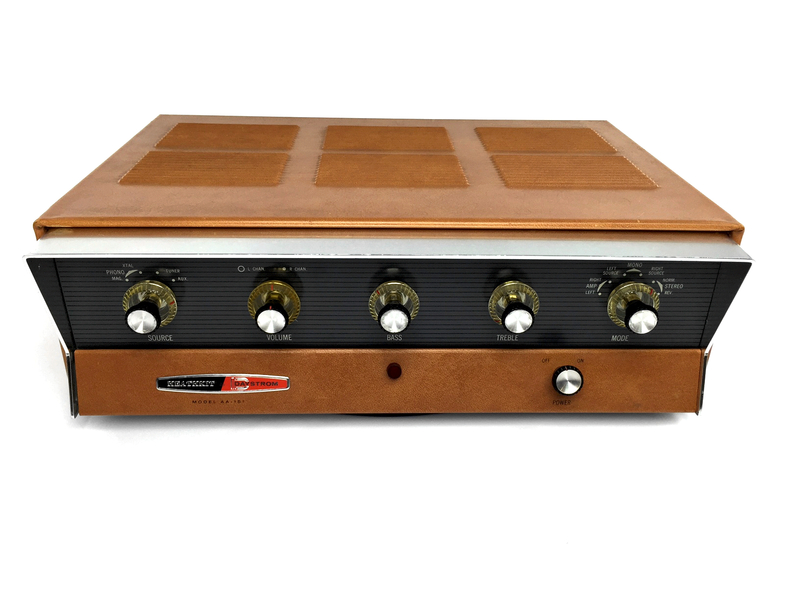 Only the chassis, transformers and switches were retained from the original amplifier. 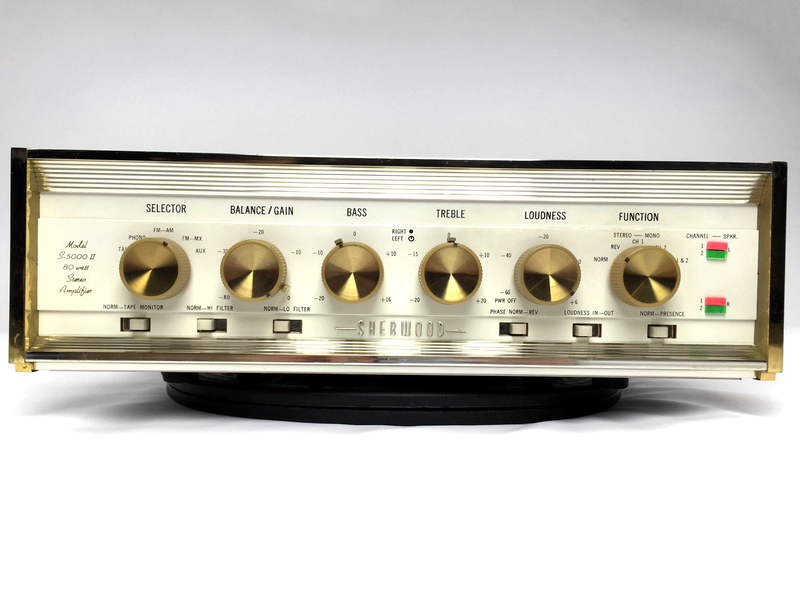 Vintage NOS RCA 12AX7s were chosen for phono, line stages, with NOS RCA 12AU7s for the inverter/driver stage. 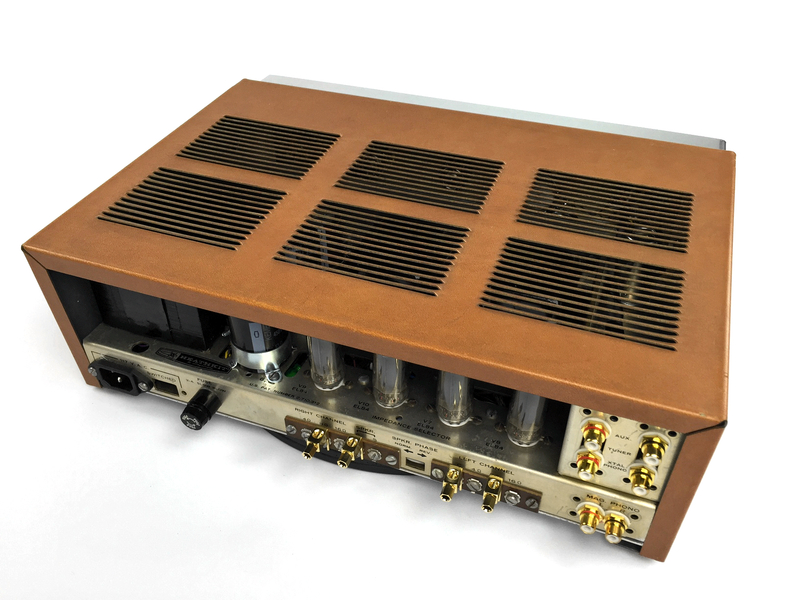 NOS Russian military 6P14P-EV (a high power, long-life version of the EL84/6BQ5) were chosen for output tubes due to their improved performance linearity, higher operating voltage and longer operating life compared to the EL84. 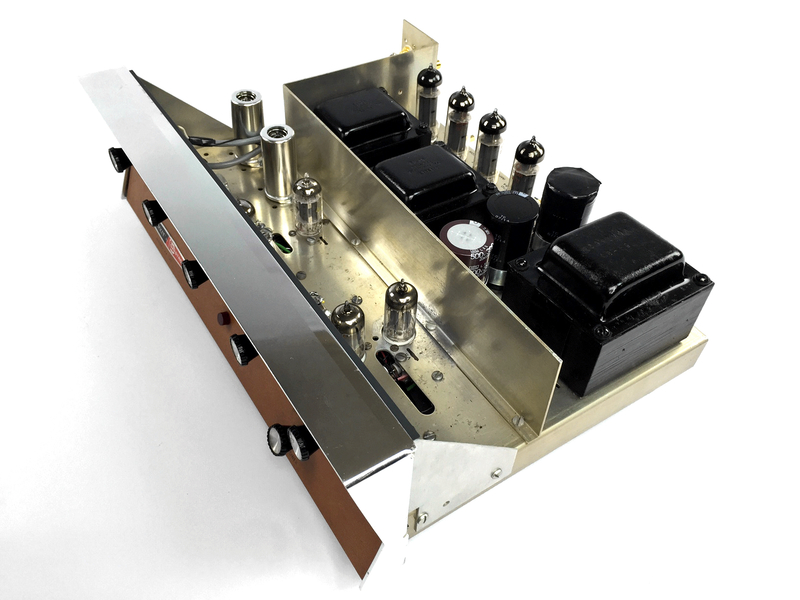 The outputs are run in triode mode with individually adjustable fixed bias providing 7.5 watts RMS per channel with both channels driven. 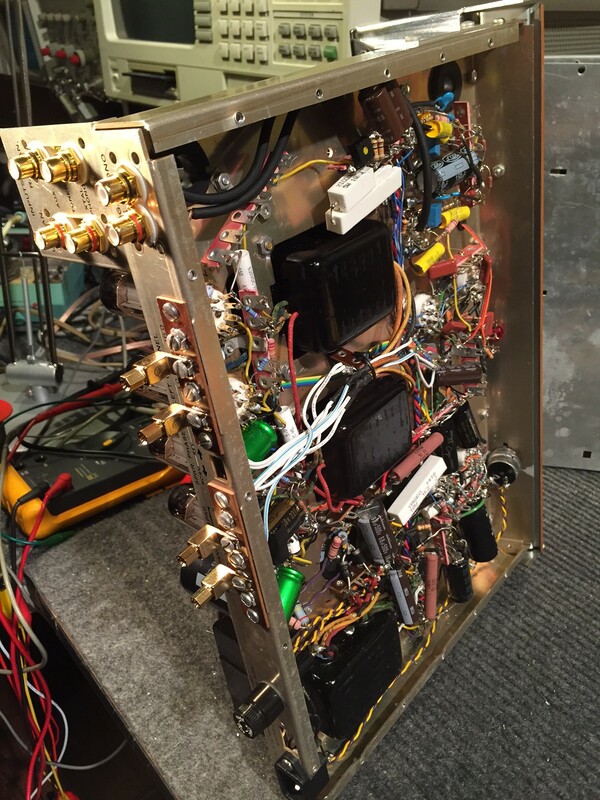 A shunt regulated power supply design was employed, along with specially selected coupling capacitors to help achieve the high performance goals. 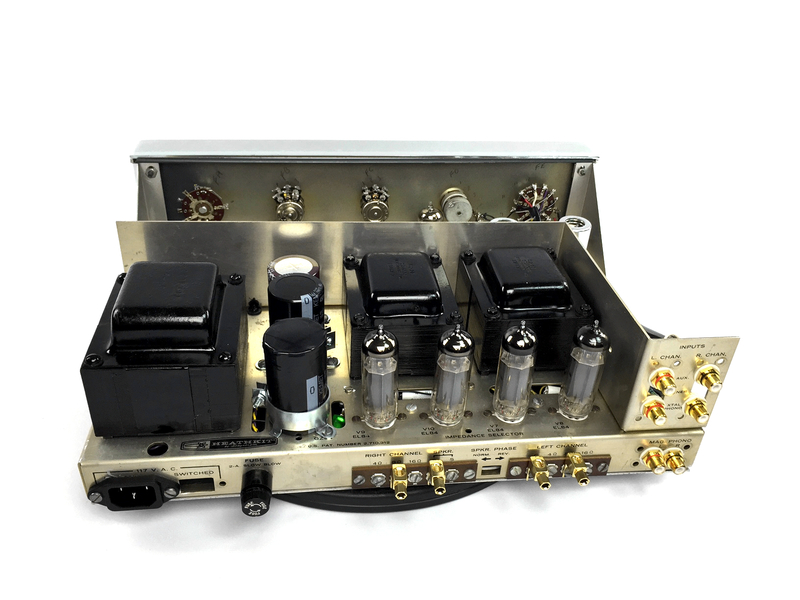 Special attention was paid to selecting the types of coupling and bypass capacitors for each stage based on it’s operating impedance. 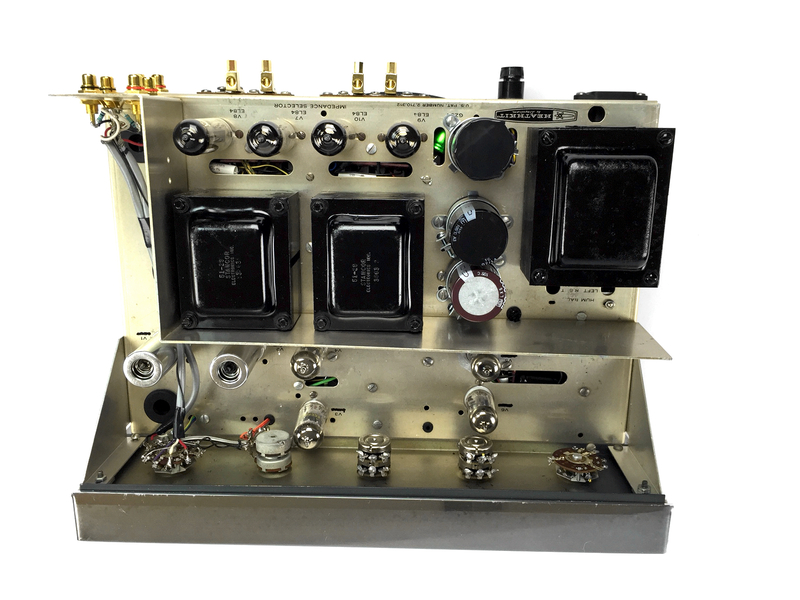 No electrolytics were used in the signal path, with non-polar polyethylene types used in the output stage cathode bypass. The results were spectacular. 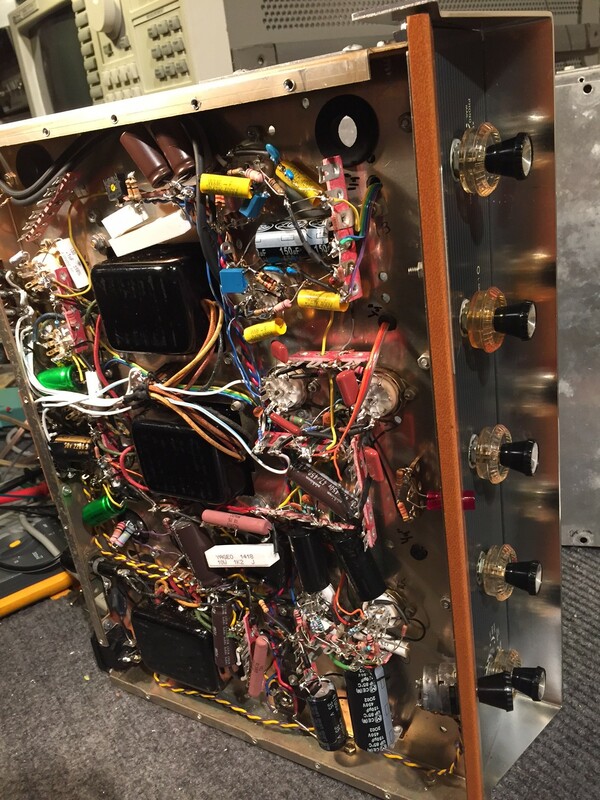 The detail and dimensionality of the new amp’s sound stage that was judged to equal or surpass a reference Sam Kim amp in a series of ‘live switching’ blind A/B tests conducted on several occasions with well a number of ‘audiophiles’ from the San Francisco area. 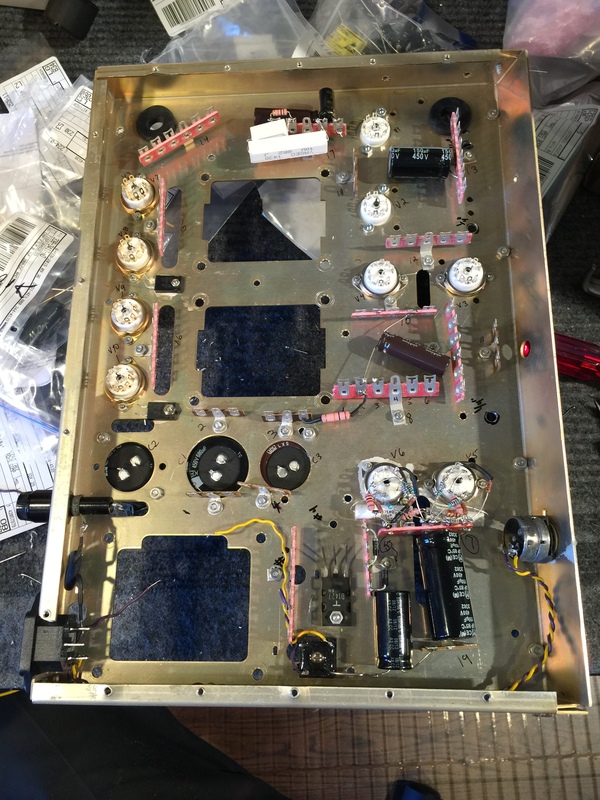 After Photo 1 – Chassis stripped down. 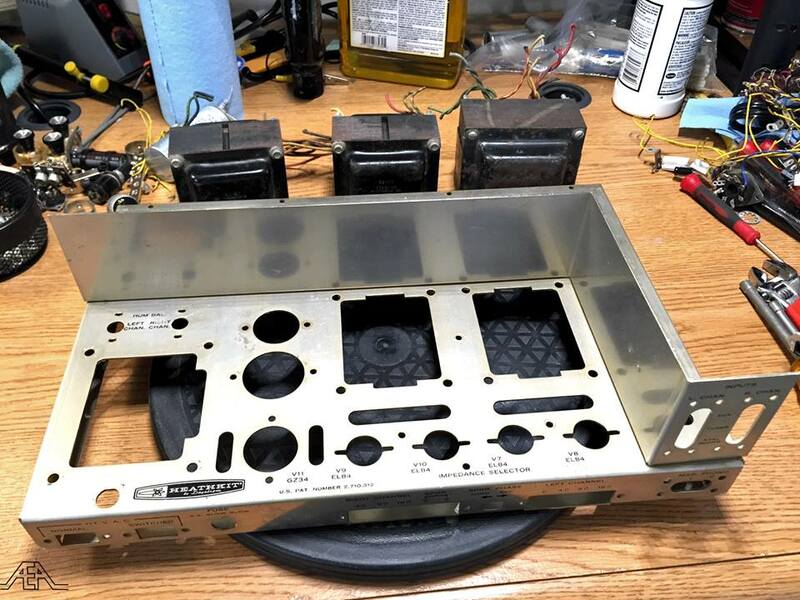 All components to be reused, including the chassis, switches and controls were ultrasonically cleaned – ready for some serious mods. 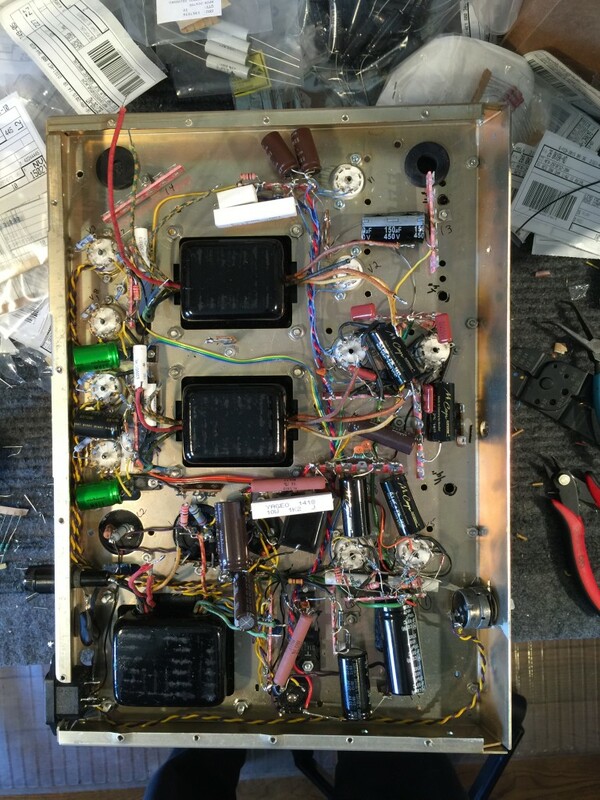 After Photo 2 – Chassis components remounted, ready for wiring. 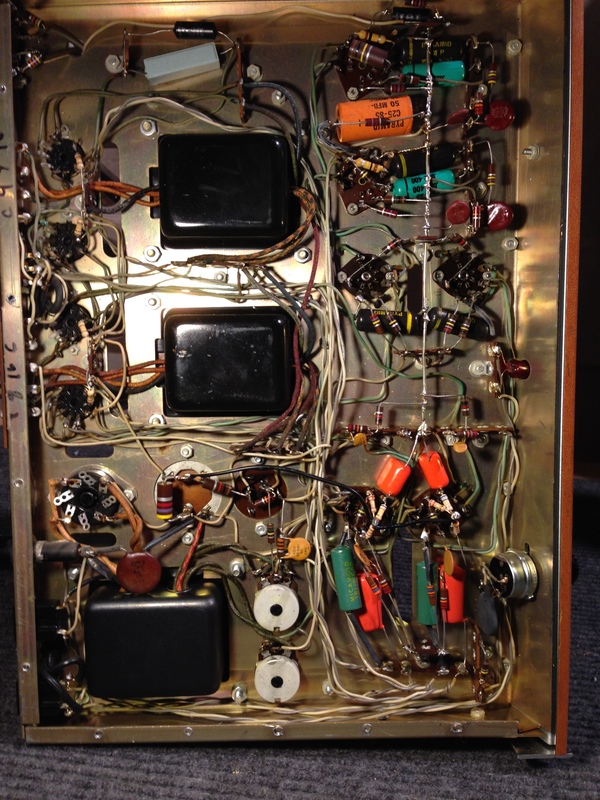 After Photo 3 – Current status: Transformers mounted — with 70% of component wiring completed. 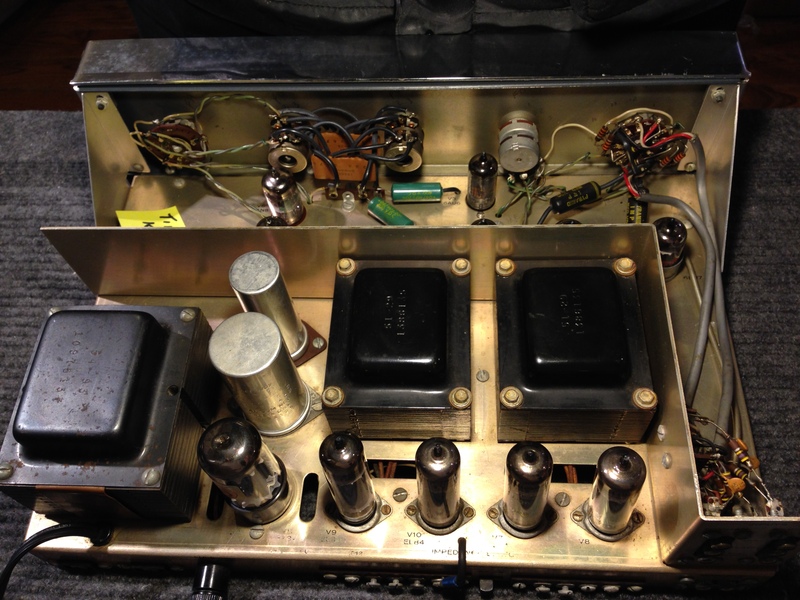 Wiring-up the transformers and the phono stage is next… those components are still in the bags.